Here’s a word you may have never heard before: entomophobia. Simply put, it’s a fear of one or more kinds of insects. Like many other phobias, entomophobia can trigger a high level of anxiety; so much so that one may experience a series of panic attacks. In extreme cases, individuals may even lose consciousness for a brief period. Other symptoms of entomophobia include uncontrollable weeping, difficulty breathing, and an urge to flee from the insect or insects that brought about the anxiety. 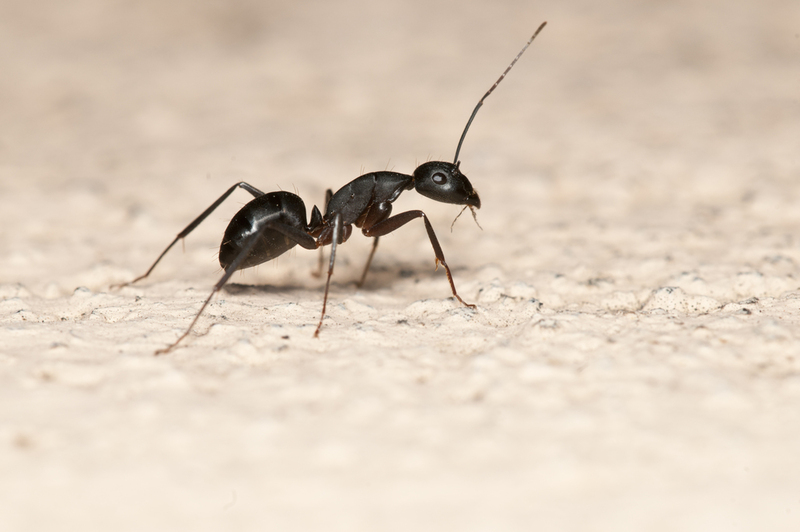 The following are some of the more prevalent pest phobias. Spiders aren’t exactly beloved creatures, and while many people dislike them, there are others who have a debilitating fear of them. Sometimes it may only take a glimpse of a spider web, and not the spider itself, to elicit a fearful response. While spiders have a reputation for being harmful, there are only about a dozen types with venom strong enough to do any damage to humans, and in all likelihood, you won’t run into those spiders on an average day. Cockroaches have been around for a long time. A ridiculously long time. Some fossils of cockroach-like insects date back hundreds of millions of years. These tiny creatures have been around since before the dinosaurs. With longevity like that, and the sense that they can survive anything, it’s no wonder they can stir up some frightening thoughts. This difficult to pronounce term refers to a fear of ants. Sometimes the fear can go beyond anxiety at the sight of ants to include fear of ants contaminating one’s food. Tiny as they may be, ants are known for their ability to work en masse, that’s what may lead some myrmecophobia sufferers to fear that their home will be invaded by a large swarm of ants. Also known as apiphobia, this is a fear of bees or bee stings. Bee stings are unpleasant for most people, but can cause more severe health problems for those allergic to bee stings. For those who suffer from a fear of bees, the sight or sound a buzzing bee could send them running. These are the fears of moths and butterflies, respectively. Because moths and butterflies have similar physical attributes, a fear of one may be linked to a fear of the other as well. These phobias can take hold during childhood and ease off over time as a child learns that the insects are harmless. However, the phobias can last into, or develop in adulthood. Nicole Kidman is one notable person who is believed to have lepidopterophobia. While mice and rats aren’t insects, they’re most definitely pests. As such, they’re worth noting on this list. In many cases of musophobia, the fear is the result of a socially induced, conditioned response that is tied to the startled response one may have experienced when first confronted with a mouse or rat. In the George Orwell novel Nineteen Eighty-Four, the protagonist, Winston Smith, has a phobic fear of rats. His greatest fear was being slowly eaten alive by rats. Yikes! This entry was posted in Blog on 2014/08/25 by Any Pest.